Calling all gamers: Black Friday has started to hit the UK, so you can now get the Golden Joysticks Game of the Year Dark Souls 3 for less than half price, as it’s only £19.99 on PS4 or on Xbox One at Argos. 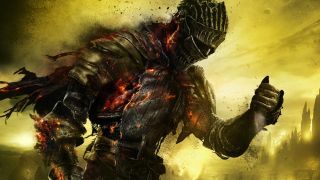 There are tons of Black Friday gaming deals around with this Dark Souls 3 bargain being just one of many. Overall you’re saving a whopping £27 (or 57.4% if we’re being specific) on the Game of the Year, which you can feel smug about whilst you git gud and try to avoid being decapitated by giant punching mushrooms.